Isn’t this an gorgeous office? 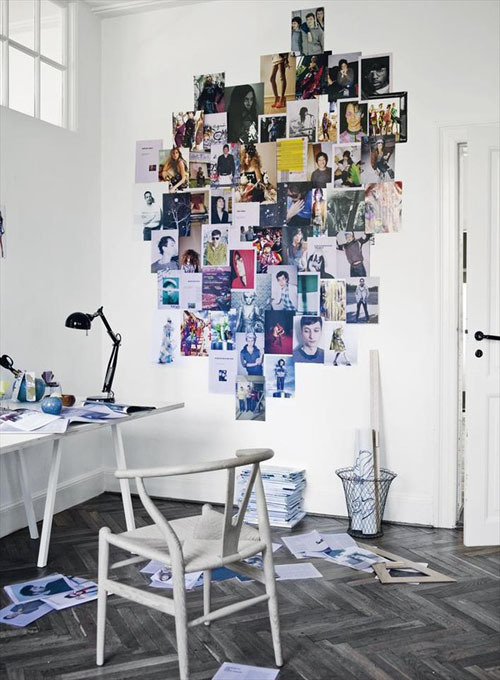 Loving that wall with inspirational images! The chair is the Wishbone chair from Wegner. Cool, would love to have such an office!